We now officially have this unit priced well below cost. We can't seem to figure out why it it still here. It is a traditional floorplan and has many nice features. If you're shopping price, you know we're pretty low. Please don't low ball us. Lots of financing options. 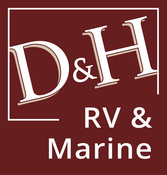 Full service RV dealership specializing in New and Used RVs, Rentals, Parts and Service, and Dingy/Towed Vehicles. Located in Apex, NC right near the famous Jordan Lake State Recreation area. A small company with the owners on site daily ensures you won't get the run around. Stop by and say hello.